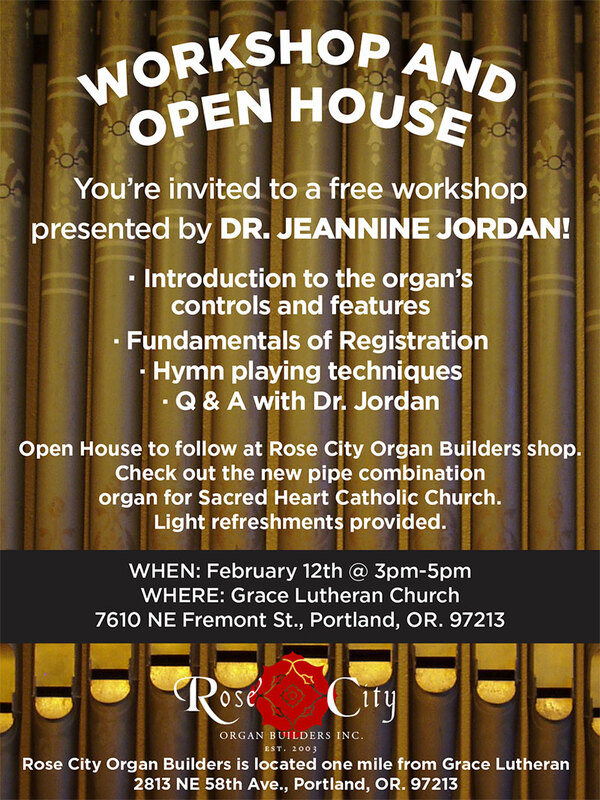 Grace Lutheran Church Workshop - Rose City Organ Builders Inc.
We will be hosting an open house following the workshop at our shop which is less than a mile from Grace Lutheran. We will have a new custom Digital/Pipe organ setup which is destined for Klamath Falls. Please contact Chris if you plan on stopping by.